Fully consolidating the matting with resin is essential to a successful application. 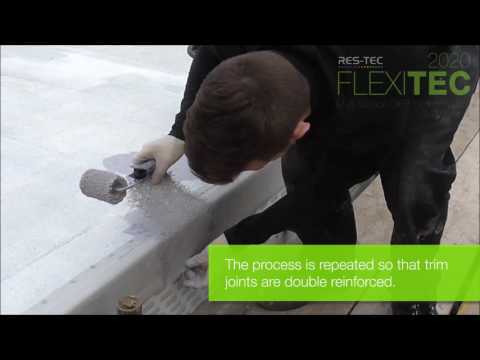 Approximately two-thirds of the required amount of Flexitec 2020 Resin is applied to the surface before rolling out the matting. The resin should be worked through with the roller before applying the final third on top, ensuring a closed, pin-hole free surface is achieved. TIP: Look for “swirly” matting to be sure you have consolidated the matting. If the fibres are still straight, work the system more with the roller.